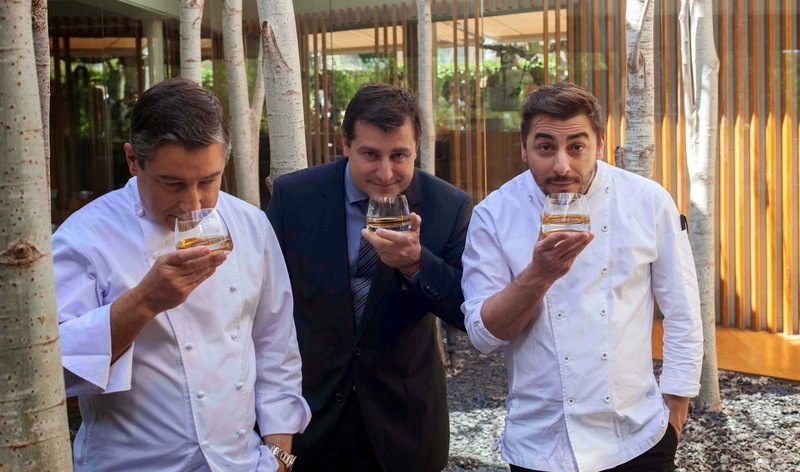 Having already moved the boundaries of exclusive luxury whisky pairings with its Masters of Photography initiative, The Macallan is once again responsible for a paradigm shift with its Masters of Taste collaboration with El Celler de Can Roca in Girona, Spain. The result of this collaboration is a dinner that features 14 courses of the most exquisite meals ever created by the restaurant, paired with 14 of The Macallan’s rarest and oldest whiskies. Spaces for the dinner on 15 March 2015 are on sale to food fanatics around the world (including South Africa) who want to experience the limits of culinary luxury. Tickets cost approximately R 105 000.00 per person. Those South Africans not able to attend the international installment of this collaboration should not despair. The Macallan is currently in talks with some of the most exciting and exclusive local chefs and restaurants to create a South African Masters of Taste. As with the international event, foods and whiskies that are not available to the public will be on the menu. Details about this exciting venture will be released towards the end of the year. The 14 whiskies served will consist of 10 unreleased single cask malts that are not available to the general public, as well as the No 6, the record-breaking M, The Macallan 62-year-old in Lalique crystal and a 67-year-old whisky, the oldest single malt ever presented by The Macallan distillery. Each guest will receive a 50ml miniature of one of these 14 whiskies served. A one-off bottle of one of the unreleased single cask malts will be auctioned off for charity to benefit charity: water at each of the dinners. The menu, which will never again be replicated, not at El Celler de Can Roca or anywhere else in the world, is inspired by the flavour profiles of the 14 whiskies that accompany each of the 14 courses. The dinners are open to a very limited number people globally. With a key focus on charitable giving, the net proceeds from the dinner, together with a further contribution from The Macallan will go to charity. “The Ultimate Dinner with The Macallan and Roca” will involve the most exquisite combination of gastronomy and whisky making, from exclusively designed dishes, inspired by the flavour and character of The Macallan, to an outstanding range of The Macallan whiskies. El Celler de Can Roca was recently voted the best restaurant in the world by Restaurant magazine in their annual list that combines the opinions and experiences of over 900 international restaurant and industry experts. Much like the staff at The Macallan, the three Roca brothers, Joan, Josep and Jordi, have different skills sets, but a single vision of crafting peerless taste sensations of the highest quality. The Macallan also holds global distinction after breaking its own Guinness World Record when a six-litre Lalique crystal decanter of The Macallan M sold for US$628 000 on auction in Hong Kong earlier this year. Much like The Macallan, El Celler de Can Roca is at once steeped in history and culture, while also embracing the most modern techniques and forging a path for others to follow. Together, these partners share the core values of craft, mastery, skill and innovation. While the bringing together of whisky and food is not a new concept, a project of the scale and ambition that these two icons of their industries have created has not been seen before. The collaboration is not about simply improving on whisky and food pairings, but to challenge existing notions and taking the concept to new and exciting levels. For The Macallan, The Masters of Taste is a spiritual return to its roots, as the distillery is remarkable for its exclusive use of Spanish sherry-seasoned oak barrels. The Macallan spirit’s journey therefore starts in the oak forests of northern Spain. Likewise, El Celler de Can Roca’s brothers have been heavily influenced by their Spanish heritage. Their food champions a dialogue between the countryside and science, which has earned the restaurant three Michelin stars since 2009. Unlike the Masters of Photography series, which features a different world-renowned photographer every year, the Masters of Taste partnership with the Roca brothers is designed to last for many years. Guests will be able to visit the kitchen, cellar and other parts of the restaurant to get a better appreciation of the space that the Roca brothers have created to inspire their peerless cuisine. 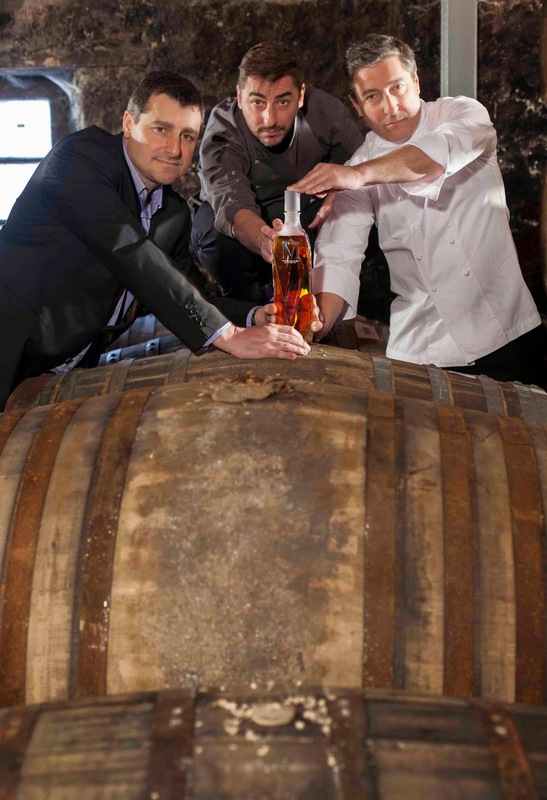 Bookings for the dinner on 22 March 2105 can be made by emailing themacallan@rocadinners.com or by calling +34 93 222 49 95. This should be quite an experience!